This is a really tricky one. I actually really like the HTC U11, it has grown on me tremendously. I love the camera, which is one of the best on the current market in my view. I also like the software, the performance, and the audio is second-to-none. It's waterproof too, which is a big plus in my book. Can you live with a shiny bling-tastic phone? Are you ok with recharging your phone daily? Are you happy with a display that is decent but not exceptional? Are you ok with these compromises while still paying flagship prices? If you're answering yes, then you may well be pleased with the HTC U11. In a vacuum, HTC’s U11 is a perfectly adequate phone. But context matters, and the price of that adequacy needs to be considered. A $650 (at minimum!) phone with this set of specifications is ludicrous in a world where OnePlus’ 5 – or even 3T (from a year ago) – can be had for $200 less with largely better specs. For all the praise it got around the web, frankly, I expected better. In the end, the HTC U11 is just another adequate “flagship” with gimmicky features and the bloated price tag we’ve come to expect from the big name OEMs. If you’re a big camera buff, you might be able to justify the price in your own head – it’s a ridiculously well-performing device in that regard – but for people that don’t put a premium on camera performance…there’s better devices out there for cheaper. Overall, the U11 would be an excellent decision if you’re looking for a new Android smartphone. It’s easily one of the best HTC phones I’ve used to date thanks to its fast processor, long battery life, and incredible camera; at around AUD$999 it represents decent value compared to its high end competitors too. The lack of a headphone jack is definitely a dealbreaker for many, but if you’re willing to accept the omission and aren’t concerned over fingerprints, HTC has a great offering here. HTC recently released a lineup of U series of smartphones, and one of them includes its newest flagship device dubbed the U11. Its main feature is its Edge Sense or commonly known as the “Squeeze” feature. But is it all there is to U11? Where it doesn’t perform so well is with zooming and bokeh — though given the lack of a dual-cam setup, that’s not too much of a surprise. If you can, it’s best to move towards a subject rather than zoom in for tighter cropping. And although the U11 can capture high-quality portrait images, it can’t replicate that shallow depth-of-field effect that you get with the iPhone 7 Plus’s Portrait mode or similar systems. The U11 is really a mixed bag. The cameras are great, the display and front of the device are great, the internals are powerful, it comes with a great pair of headphones, it’s water-resistant – but it’s lacking in a lot of other areas. Despite the inclusion of a converter, the lack of headphone jack is a serious annoyance that will put off the audiophile market for which the U11 is otherwise tailor-made. These problems sound small, but combined they add up to make the Samsung Galaxy S8 a more appealing handset overall. I believe the HTC U11 might be a contender for the best smartphone of 2017. It has great specs, one of the highest rated cameras and its never-before-seen squeeze function is actually pretty useful and has a lot of potential. HTC may have been away from the spotlight for a while but its great comeback with the U series of smartphones, particularly with the U11, didn’t disappoint. In fact, it’s that kind of smartphone that you will grow fond of as time goes by. HTC U11 Review: The Best Camera Ever On A Smartphone? While HTC’s U11 doesn’t have a bezel-less display or dual cameras, it’s still a pretty solid smartphone in its own right. A beautiful exterior, extremely good camera performance, top-tier hardware plus competitive Php 36,990 pricing make it a legitimate contender against all the other flagships being offered in the Philippines today. Hands down, HTC fans would love this. If you were to pick a really nice HTC phone, the HTC U11 acts and feels like a great choice. You get a water-resistant phone with great cameras, a fast processing time, and a useful feature that may sound odd at first (since when have you heard of a phone that you can “squeeze”?) but works well if you’d like to focus on having a functional phone that can help you out in your daily tasks. A really great phone which, in my view, is tarnished by Marmite design due to the mirror finish. Also somewhat lacking in the battery and display. The audio, performance, software, and camera, however, are all superb. Well worth considering and weighing up the pros and cons versus your needs and tastes. Featuring oddly useful squeeze controls, a great camera and Hi-Res Audio support, the HTC U11 is an excellent handset that won’t disappoint any buyer when it comes to functionality. Its design is Marmite, however. That’s pretty much it for this quick review for the HTC U11. We’re going to be putting HTC’s flagship to the test for the next couple of days, so make sure you check back if you want to know if this device is worth it. The U11 was an excellent phone at launch, if not quite the best. What it could turn out to be in a few months, though? The potential is really exciting. Samsung will continue to take the larger slice of the Android pie, and Huawei are really driving forward now. Also, with the likes of OnePlus, Lenovo and Google Pixel also in the frame (plus others) – they have to really nail those finer points and get things right first time. Come on HTC, this is a very fine phone, but we need to see more of this, with bigger fanfare. HTC may be pushing Edge Sense as the next big thing in smartphones but honestly it's probably the least interesting feature in the U11 - at least for now. Without app customization, Edge Sense is basically just an overbuilt app launcher that can only launch two apps. While you can use it to take pictures in the default camera app, I found it more convenient to just press the onscreen shutter button or volume button to take a picture. Once HTC launches full app customization, that may change, but for now Edge Sense isn't all that useful. This is a sensible smartphone in a sensible package. This is a flagship I can live with every day. If my foot wasn’t already planted firmly in Apple’s camp, I think I might even have considered getting myself one of these. The HTC U11 is definitely the best smartphone to come from HTC in a very, very long time. It has a fantastic camera, flagship-tier performance, and a unique – though not exactly must-have – Edge Sense feature. Carrying a RM3,099 price tag, it’s not a very costly flagship smartphone either – it can even be purchased for only RM2,799 now. If we had paid the full launch price for an HTC U Ultra less than four months before the HTC U11, we'd be extremely put off with the company right now. The U Ultra is utterly and completely outclassed by the U11. We don't miss the secondary screen at all, and almost all of our concerns and complaints about it have been addressed with this new model. This is the phone that HTC needed to launch in February or March, and we don't see the point in alienating customers this way. These redeemable traits aside, the HTC U11 is an excellent phone; it’s attempt at innovation may not quite be a hit but it hardly detracts from a product HTC fans will love and outsiders may just be swayed by. The HTC U11 is markedly cheaper than the phones to which it should be compared, and it at least matches and usually exceeds them in most ways. Give it a close look. But with all of that said I can’t say I felt the feature really improved my phone experience massively, and I wouldn’t really miss it if it weren’t there. Definitely kind of cool though, so kudos to HTC for trying something new and quirky. The HTC U 11 is a well designed smartphone that comes with a powerful set of specifications. If you are planning to buy a flagship smartphone then this can be your pick. It comes with the latest Android, processor and ample amount of RAM. At a price of Rs 51,999, the smartphone gives competition to the recently launched Sony Xperia XZ Premium (Rs 59,990) and the Samsung Galaxy S8 (Rs 57,900). HTC U11 is a top-end flagship with premium features and performance. I recommend this for those who want to flaunt a phone that is different from the pack and looks so. I would personally prefer more subtle colours options of the phone, but I am sure shiny metal works well for a lot of people, who are okay spending more that Rs 50,000 for their next smartphone. HTC U11 is clearly one of the top Android flagships in the market at the moment. The HTC U11 is a good phone. It’s really close to being a great phone, and it’s even a market leader in categories like battery life and camera quality. For an enthusiast, this is a perfect phone; relatively untouched software, killer hardware, and no gimmicks to get in the way. For everyone that’s not an enthusiast, though, it’s not really clear why you should buy the U11. The HTC U11 is an extremely fast smartphone with a great camera. It's the best HTC fans can get right now, but it loses out in terms of premium feel and future-facing technology in the current flagship market. It's good, but not good enough. The contrast between power and styling has never been so dramatic as on the HTC U11. Admittedly the latter is subjective and some people I’ve shown the phone too have fallen in love with its looks instantly. For me, the ultra-bling mirror-finish is tasteless, the sort of chromed fingerprint magnet mirroring used on cheap plastic gadgets to make them look more expensive. Yes, I know – and you know – that this is Gorilla Glass and that HTC has ‘layered highly refractive precious minerals’ but the effect certainly won’t please everyone. In addition to the ‘Sapphire Blue’ here, you can also get the U11 in red, silver and white, plus ‘Brilliant Black’ and I do wonder whether the latter might not have put me off the styling so much! The HTC U11 is a quite frankly, an excellent smartphone. With a superb camera that puts some of its pricier rival devices to shame, coupled with a decent battery life and super nippy performance , it’s one helluva smartphone. With the snappy design, the phone looks pretty cool but attracts smudges which steal the beauty of the phone. Having the top-notch specs, it can handle almost anything and comes with a good camera setup that lets you captures quality images. HTC makes some amazing phones. There's no denying that. HTC's premium One and mid-level Desire phones have always managed to stand out from the crowd on the back of their pleasing looks and polished user interface. But then, rivals -- Samsung, Apple and even LG -- started to catch up. They started to catch up really fast. HTC, it seemed, was frozen in time. The 10 was a little too late to the party. The U Ultra, well, it was meh! You won’t be picking this one up for squeezable sides. You’ll be picking up the HTC U11 for the performance and the design. Battery life is a pretty damn important spec and if you were worried about the HTC U11 not performing as well as other devices, don’t be. We’d love to hear your thoughts. Any HTC U11 owners out there that would like to report their battery life results? To conclude, there’s a lot to like about the HTC U11. This is gorgeous hardware, matched by up to date specs, and with a set of unique features like U Sonic, and Edge Sense, that help this phone stand apart from the standard set of competitors out there. The HTC U11 is a glorious return to innovation for the Taiwanese company. The headline features, such as Edge Sense and multiple AI assistants are smart inclusions. It’s fast, has a great screen, amazing camera and looks great as well. We'd like the audio to be a touch more engaging and the battery life to be a little more convincing, but they're observations more than definite criticisms. Priced at Rs. 51,990, the HTC U11 will be competing against premium flagships including the Samsung Galaxy S8, LG G6, and Apple iPhone 7. While it seems good enough in terms of performance, it remains to be seen whether HTC will be able to make this phone stand out from its more established competitors. For our full review of the smartphone, stay tuned to Gadgets 360. Leaving out the rich user experience, the HTC U11 smartphone has an edge over its rivals on the price point. If you are looking out for a good performance, amazing camera, and candy looking device, you can go for HTC U11 blindly. Trust me, you won’t regret! The phone comes in Brilliant Black and Amazing Silver colors in India and will be available in the last week of June through offline stores as well as Amazon.in online. It’s a tough one. We recently covered a conference carrying all three of these phones and ended up sticking with the S8. While that’s a bit fiddly to unlock, it does everything else brilliantly. If you’re heavily into photography, then the P10 Plus is the obvious choice. However, if you want a fast, flashy phone that cheers you up just by looking at it, and you can see past the lack of headphone jack to make use of the impressive audio features, then this is still a great choice and one of the best Android flagship phones on the market. HTC can keep its Sense Companion and its squeezable Edge Sense controls. Those features work as advertised, but I don't need 'em. The things that really makes the U11 stand out are its unique jewel-like design, thumping BoomSound speakers, superb performance and a rear camera that can keep pace with the best from Apple, Google and Samsung. The HTC U11 brings with it some of the core components you want from a flagship: there's loads of power for a fast and fuss-free operation, a good display, great camera performance, and attention to detail in the audio offering which puts HTC above its flagship rivals. The U11 is priced right in the premium sector, where companies do differentiate with useful and innovative ideas. It doesn’t have many of the forward-looking features of its competition, but at its base it is a very good smartphone in a very pretty shell. If that’s what you want, and you’re able to get past the lack of a headphone jack and the U11’s attraction to fingerprints, you won’t be disappointed. It's doubtful the HTC U11 alone will bring HTC back to the front of the pack in market share, but it is encouraging to see the company still fighting with an alternative that rivals the top dogs and at a price more affordable than Samsung, Google, and Apple. The HTC U11 is excellent and worth the £649 asking price when looking at the competition. But is excellent enough? The HTC U11 isn’t a phone that should be overlooked by any means. With its fantastic build quality, top-of-the-line specs, and stellar camera, this device will tick all the right boxes for most users. The overall experience is rounded out with a rich audio experience and unique Edge Sense feature, making HTC’s latest flagship a truly compelling package. The U11 is an excellent all-round smartphone that will meet 99% of people's needs. I just wish it didn't look so naff. The U11 is the best competition for the Galaxy S8 on Sprint. We're going to keep our Editors' Choice with the S8 for its superior camera and network performance in our tests. Even if the U11's spec sheet says differently, we have to go by our results. But while the U11 doesn't outpace the S8, I'd suggest it to audiophiles for whom music and speakerphone are primary uses. And we'll take another look at it in the months ahead, to see if this promising phone evolves into a real winner. While I have purchased many HTC phones in the past, I honestly did not think HTC could make another phone that I would purchase. The HTC U11 has changed my opinion and the eight reasons it beats the Google Pixel are backed up now by some personal experiences using the phone. The HTC U11 is somewhat of a phone unstuck in time. It's got all the processing might of any 2017 flagship, offers a modern, quite useful digital assistant, and dips its toes in high-tech features like active noise cancellations. But it's also a phone that feels – and maybe more critically, looks – a little dated. The HTC U11 is a seriously good phone. HTC has combined beautiful design, superlative build quality, thoughtful features, and a restrained customization of Android. Problem is, I suspect few will ever actually see one. The HTC U11 is exactly the kind of flagship phone that the company needed to launch in 2017. It’s once again a highly enjoyable all-round experience, but feels fresh enough to stand out against earlier handsets and rival premium mobiles. It’s been quite some time since we’ve seen a phone as exciting as the HTC U11 come from the Taiwanese company, and we cannot wait to put the U11 through its paces. For RM3,099, the U11’s feature set, 128GB storage and 6GB RAM certainly sound like a good deal, but only a full review can establish whether or not this is really the case. On paper, you’d be hard pressed to find anything wrong with the HTC U11. It has top-of-line specs, a brilliant camera, great pricing and plenty of features such as the touch sensitive bezel or the the noise cancellation headphones. My daily driver is the Samsung S8 and in many ways, the U11 is better. But, I’ve been spoilt by Samsung’s nearly bezel-less design and the 2:1 aspect ratio which I personally consider as the direction in which all high-end phones will be headed. You may not agree with me and that’s fine, and if you are in that camp, I doubt you’ll find anything as good as the HTC U11 on the market for its given price point. When I reviewed the U Ultra, I could see the potential in the design and hardware execution — that phone was just unfortunately saddled with multiple issues including its size, a couple bad internal spec choices, a subpar camera and a far-too-high price. HTC has remedied nearly all of those issues just a couple months later with the U11. It has a more manageable size, ditched the second screen, improved battery life, overhauled the camera and lowered the price to $649. The U11 is an excellent phone right now, then, if not quite the best. What it could turn out to be in a few months, though? The potential is really exciting. The HTC U11 will be launched in select countries next week (UK, US, Europe) with the rest of the world (including Singapore) launching in early June. Local pricing has not been announced yet, however, it should be similar to the U Ultra, which launched here for S$898. The HTC U11 isn’t as immediately eye-catching as the LG G6 or Samsung Galaxy S8, but it seems to have lots going for it. It’s not the most exciting phone of 2017, but the addition of Alexa, improved BoomSound speakers, and bundled ANC headphones shows HTC is trying hard to keep on top of the things it does best. I’ll reserve judgement until I’ve finished testing it but the phone is certainly impressive from the moment you pick it up. Interestingly, HTC makes the Pixel for Google. It is under contract to manufacture the Pixel 2 and is also rumored to be in the running for the Pixel 3 which is likely to launch in 2018. The HTC U 11 is available for pre-order from the company's website. Each unit will put you back by $650. The company has already launched two phones this year - mid-range U Ultra and U Play - to a mixed critical response. It turns out it's the HTC U11 that's destined to be the real successor to the HTC 10 and not the U Ultra. Even though the two U phones share the extravagant colors and flamboyant design, it would be the HTC U11 that will have all eyes on itself. And deservedly so - it's got some unique hardware features such as Edge Sense and it's properly equipped with some screaming hot hardware to go with it. This phone can't come out soon enough. Good thing we already have secured a review unit. Stay tuned! The HTC U11 takes a few steps to make itself different to everything else. The colour schemes and finish are unique to the rear, even if the front of the phone looks a lot like it did last year. Sure, some will say the colour doesn't matter because you'll need a cover on it anyway, but the HTC U11 really is spectacular with its liquid surface finish. Camera quality and battery life are still big unknowns, but otherwise the U11 ticks all the boxes we'd expect from a flagship phone. And how can you not love those incredible colours. Prices should start at £649 SIM-free in the UK, which puts the U11 towards the costlier end of the spectrum, so it remains to be seen how it'll stack up against the big hitters already in shops, like the Galaxy S6 and LG G6. The HTC U11 is a glorious return to innovation for the Taiwanese company. The headline features, such as Edge Sense and multiple AI assistants are smart inclusions. It’s fast, has a great screen, and looks great as well. What remains to be seen is whether it'll be enough to tempt customers away from the Samsung Galaxy S8, Google Pixel, or LG G6. It also features Android 7.1, a 12-megapixel rear camera and a 16-megapixel front-facing camera, and front-firing BoomSound speakers that the company claims to be the loudest, most powerful it's made to date. A powerful performer with a genuine attempt at innovation... but we're not convinced HTC's squeezy sides offer enough to mark this phone out. HTC U11 seems to have great potential and if it priced appropriately. It may give sleepless nights to Samsung and Apple as it does provide an improved user experience and USEABLE functionality. Will share more information on performance in our detailed review. The pricing is more justified than the HTC U Ultra, but it still has some stiff competition. If it proves to be superior in key areas like battery life, performance, and camera, it can absolutely bring HTC back into the spotlight. The history of HTC flagships has been a tale of ups and downs. In all the reviews of smartphones we’ve ever done at AnandTech, only two have ever held an AnandTech Gold Award: the iPhone 6S and the HTC M7. At the time, the M7 offered a great camera and specifications for its price, and ever since we’ve been waiting for HTC to return to former glory. Today’s announcement is for the latest flagship, HTC’s U11. There's a lot to like about the HTC U11 and while it certainly has flagship level specs, it's hard to differentiate in the market against the likes of Samsung and LG. The glossy and colourful design is fresh but won't be for everyone. The key here is whether the squeezable Edge Sense is innovation or a gimmick and we need to live with it for a while to decide. HTC's U11 phone features Gigabit technology that may absolutely blaze on Sprint's network, and its unusual squeeze feature is unique and convenient. What's going on is an entirely new way to interact with a phone. Called Edge Sense, this feature marks the first time any phonemaker has used touch like this. For HTC, a company that has itself felt the squeeze from larger rivals such as Samsung, Apple and LG, the U11's grippy new feature presents an opportunity to step out of others' shadows with an industry first. Holt Edge Sense HTC wieder aus dem Keller? 83% Der Phönix aus der Asche? HTC U11 ist HTC wieder da? Quetscht sich HTC an Apple und Samsung vorbei? Positive: Support waterproof IP67; decent cameras; high autonomy. Negative: Poor display. Positive: Support waterproof IP67; high autonomy; solid workmanship; excellent speakers; decent cameras. Negative: Heavy and bulky; no headphone jack; relatively high price. 92% Recensione HTC U11: è ancora uno Smartphone valido? Recensione: HTC U11, perchè non lo comprate? Positive: Beautiful design; powerful hardware; high performance. Negative: Relatively high price. Positive: Excellent cameras; nice performance; good speakers; powerful processor. Positive: High performance; nice design; excellent cameras; fast fingerprint sensor; good speakers. Positive: Long battery life; nice performance; quick charging; decent cameras. Positive: High performance; good autonomy; great cameras; decent speakers; support waterproof IP67. Negative: Easy getting fingerprints; no headphone jack; high price. Positive: Excellent cameras; beautiful design; good speakers. Positive: Great built quality; good speakers; fast system. Negative: Poor cameras. Positive: Nice performance; decent cameras; beautiful design. Negative: No headphone jack. Positive: Nice performance; decent cameras. 80% HTC U11 preview: squeeze it! Positive: Excellent cameras; nice performance; good speakers; support waterproof and dust avoiding. Negative: Heavy and bulky; no headphone jack; poor selfie camera. Positive: Excellent cameras; high performance; support waterproof; fast system; good speakers. Negative: No headphone jack. Positive: Beautiful design; waterproof; good speakers. Negative: No headphone jack. Positive: Long battery life; quick charge; good cameras; beautiful design. 80% Test HTC U11 : l’excellent photophone que l’on peut presser ! 80% Test Du Htc U11 : Faut-Il Se Presser Pour L'Acheter ? Positive: Solid workmanship; nice display; decent cameras. Negative: No headphone jack. Positive: Excellent display; good cameras; long battery life. Negative: Mediocre design. Positive: High autonomy; good speakers; nice design; excellent cameras. Positive: Nice performance; long battery life; decent cameras; support waterproof IP67. Negative: No headphone jack. Positive: High performance; good cameras; support waterproof. Negative: Sim and microSD are on the same slot; no headphone jack. Positive: Nice cameras; long battery life; fast fingerprint sensor; good speakers. Positive: Impressive design; great built quality; excellent display; good cameras. Positive: Solid workmanship; nice performance; good price. Positive: Stylish design; metal case; solid workmanship; decent hardware; excellent speakers; good cameras; long battery life. Positive: Elegant design; great built quality; decent hardware; nice display; good cameras. Negative: Relatively high price. Positive: Impressive design; nice color; decent display; fast fingerprint sensor; good cameras; powerful hardware; waterproof IP67. 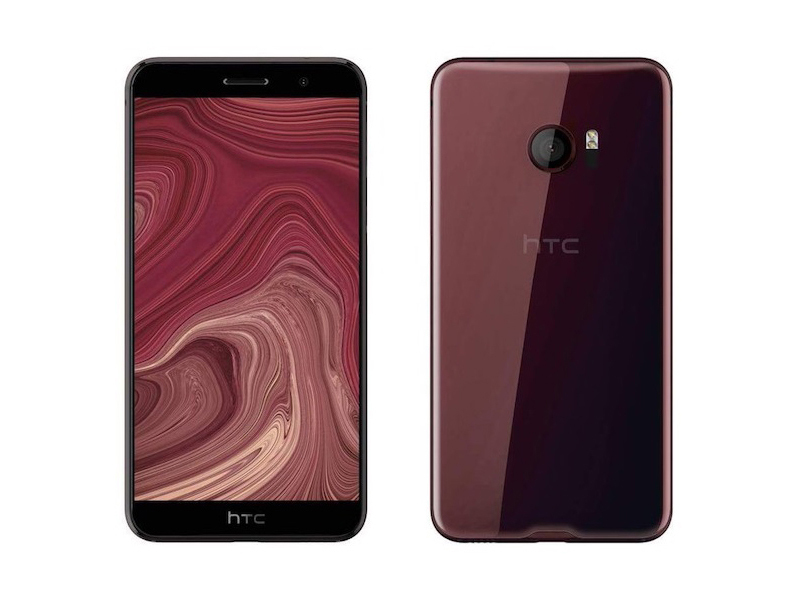 Mở hộp HTC U11: Xứng đáng 2 từ "siêu phẩm"
Positive: Solid workmanship; large screen; excellent display; support dual sim; good cameras; decent hardware; beautiful design. Positive: Good hardware; waterproof; impressive design; nice cameras; decent speakers. Positive: Premium design; high performance; powerful hardware; impressive color. Positive: Impressive design; powerful hardware; compact size; large screen; good cameras. Positive: Stylish design; excellent display; long battery life; high performance. Negative: No headphone jack; easy getting fingerprints. Positive: Good cameras; nice performance. 90% Test af HTC U11 – tilbage i spillet! Model: Just when people thought HTC was done releasing phones, HTC surprises us with the new HTC U11 flagship. Running down the whitepaper specifications the HTC U11 is powered by Qualcomm’s Snapdragon 835 SoC with an Adreno 540 GPU, a choice of 64 GB of UFS flash storage and 4 GB or memory or 128 GB of flash storage and 6 GB of memory. While the spec may not be impressive when compared with memory beasts like the One Plus 5 and its 6GB or 8GB memory configurations, prudence remains the key here. Since in the Android space there plenty of one-off gimmicks which hailed as groundbreaking but never caught on. So, what’s new this time around? For starters that would be Edge Sense whereby squeezing the phone by default activates the camera although this is re-programmable with somewhat endless possibilities. Taking a look at the HTC U11 chassis it should immediately remind users of the U Play and U Ultra although instead of a full metal unibody now the U11 sports an amalgamation of glass and metal, which still proves rigid and sturdy enough although with a glass shine like that this would prove to be a troublesome phone to carry around considering what a fingerprint magnet this would be. Admittedly one cannot deny that the U11 does look great. Next on the checkbox would be the U11’s screen while it may not be sporting an AMOLED display featured in Samsung’s flagship the Super LCD5 Quad HD screen does remain vibrant with a sharp and crisp look and even scoring 166 percent of the sRGB rating, not only that the display is also quite bright with a rating of 512 nits which actually beats the Samsung Galaxy S8 and Google Pixel XL which comes in at 437 nits and 396 nits respectively. However, moving on to the aural and IO features of the U11 does bring some slight disappointment starting with the headphone jack because there is none, while USB type C is versatile there is only one which means you can’t charge the phone while plugging in the earphones. In retrospect, the stereo BoomSound speakers equipped on the U11 is quite impressive, outputting a reasonably quality audio with some oomph to its volume. This actually makes single speaker flagships like the Galaxy S8 inferior and even when pitted against Apple’s Iphone 7 it actually does win hands down. Next are the U11’s camera setup, sporting a 12-megapixel rear camera the U11 is able to produce stunning shots with somewhat equal footing with Apple, Google and even Samsung however the front facing 16-megapixel camera ended up being a hit and miss incident which is not to say it is bad but just about average. Lastly turning to battery life, the U11 lifespan doesn’t really stand out much with a rating of only 9 hours and 38 minutes it was just about average to an hour and a half less of its closest competitor. Bottom line HTC still can produce quality phones even though it lost its crown years ago. HTC U11 is a high-end Android smartphone that does basically what most other high-end Android phones do. What makes the U11 stand out is the liquid glass surface on the back. This design is bound to turn heads, and the way to color shifts and changes depending on the angle results in a stunning effect. HTC has always had a penchant for beautiful design and solid build quality, so it’s no surprise to see the U11 excels in this area. Instead of a metal construction like it normally employs on its high-end offerings, HTC has opted for metal and glass with the U11. The device features rounded corners, curved edges on the front and back, and an aluminum frame sandwiched between two glass panels. This all makes for a seamless, comfortable in-hand feel. HTC has gone with a more traditional, familiar display on the U11. The device comes with a 5.5-inch Quad HD Super LCD 5 display, with a 16:9 aspect ratio. The quality of the screen itself is fantastic. It’s sharp, crisp, has excellent viewing angles, and vibrant colors. Outdoor visibility isn’t an issue, but it feels a bit too bright when using it at night or in the dark. In terms of specifications and hardware, the U11 ticks all the right boxes. Under the hood is the Qualcomm Snapdragon 835 processor backed by 4GB of RAM, and overall performance is just as fast and fluid. Touch response and scrolling are excellent and it runs apps and high-end games with no issues at all. Multi-tasking is also nice and quick on this smartphone. Shipping with Android 7.1 is also nice. This gives the U11 a slight edge as neither the Galaxy S8 nor the LG G6 did. The U11 features the same woofer and tweeter combo with the HTC 10, but it has been improved significantly this time around. It is much louder and with better clarity, and HTC is leveraging the entire phone as an acoustic chamber to make this happen. A user can literally feel the audio resonate through the device when holding it in hand. The U11 doesn’t come with a headphone jack, but it’s completely forgivable because of how good the audio sounds through the USB Type-C port. The USonic earbuds are included in the box too. If a user doesn't want to give up their current pair of headphones, HTC also includes a 3.5 mm to USB Type-C adapter in the box. Using the adapter will give a much better audio experience, as it actually sports a built-in DAC. One additional feature of the U11 is Edge Sense. Using pressure sensors embedded in the lower half of the U11's frame, Edge Sense can detect when a user physically squeezes the phone. With this function, one can turn on the flashlight with Edge Sense, launch the camera (or any app) and take a photo from sleep, or activate the Google Assistant. The U11 is a good addition to the high end category but fall short behind some of its competition. Nevertheless, it still the only phone that offers an unique squeezable function as an input. 85.19%: This is a good rating above average. Nevertheless you should not forget, that 10-15% of all notebook-models get a better rating.